Sikka: Traces of A Kingdom | What an Amazing World! Dino skillfully drove the minivan through impossibly narrow roads, sandwiched between steep slopes and the southern beaches of eastern Flores, with patches of renovation work along the way to our destination. Sikka Natar was a sleepy beachfront village where only a little remained from the time when it was the political center of a kingdom controlling much of the eastern portion of the island. When the last king of Sikka died in 1954, however, the capital had shifted to Maumere in the northern coast. Not far from where Dino parked the car a big timber structure built on large stilts stood in solitude. The silence was only broken by the sound of crashing waves and the giggles of two children playing football inside the derelict building. It was Lepo Geté, the former residence of Sikkanese royal family. Across the somber palace laid the tombs of some of Sikka’s deceased royal family members, clad in bright ceramic tiles with wooden crosses mounted on each tomb. 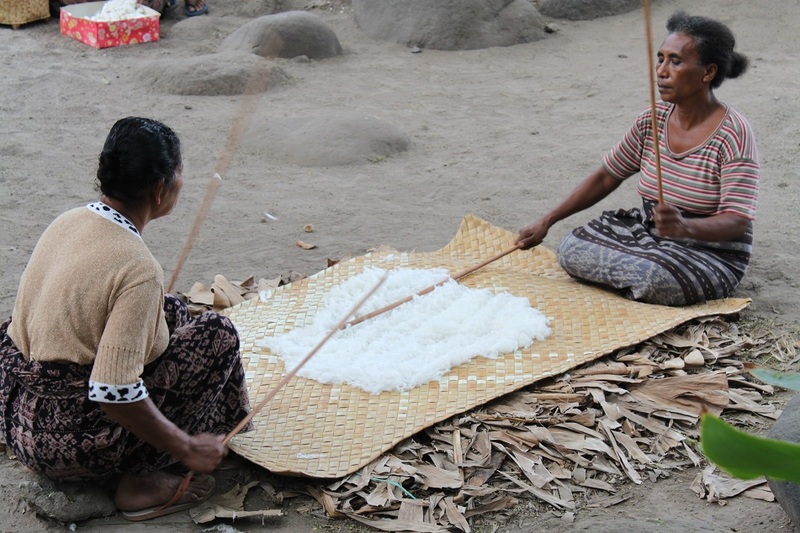 In many parts of Indonesia animism is still widely practiced alongside with the religions that later came to the archipelago, and Flores is no exception. “But the true benefit of burying the dead bodies in front of their houses is to prove their ownership of the property if a dispute arises many years later,” he explained. 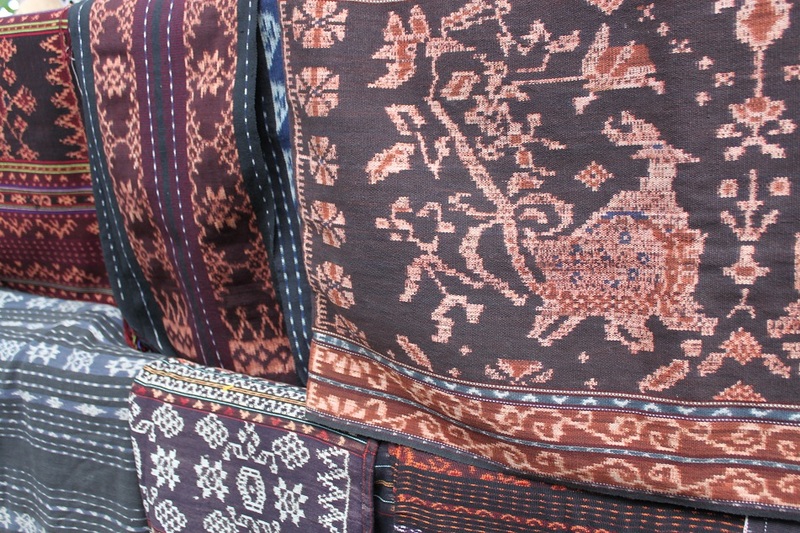 Sikka Natar’s rich history is probably best seen today at its distinctive tenun ikat motifs. Tenun ikat, ‘to weave’ and ‘to tie’ respectively, or often simply called ikat is a traditional textile made by using both techniques to create woven dye-colored piece of cloth with motifs varying from one region to another. 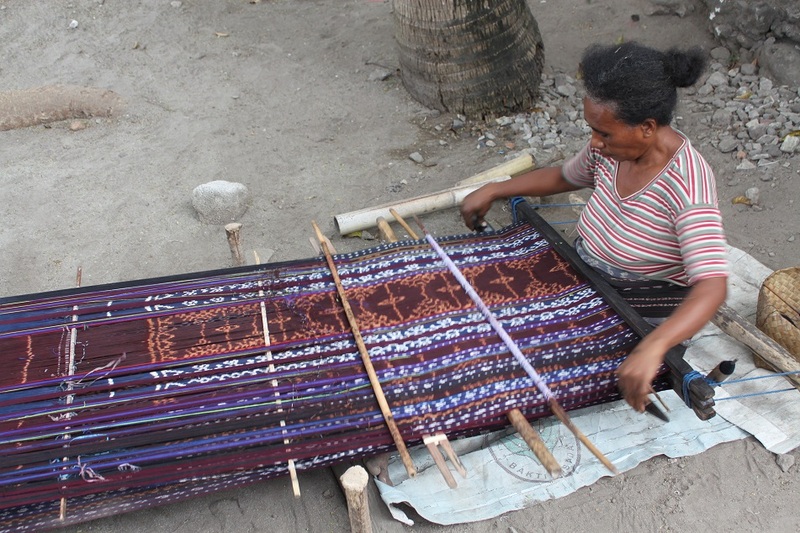 In Flores, Sikkanese ikat motifs are the most elaborate and difficult to make, according to Dino. A group of local ladies, each wearing ikat sarung, gathered under leafy trees to demonstrate the steps of making a piece of the traditional textile. 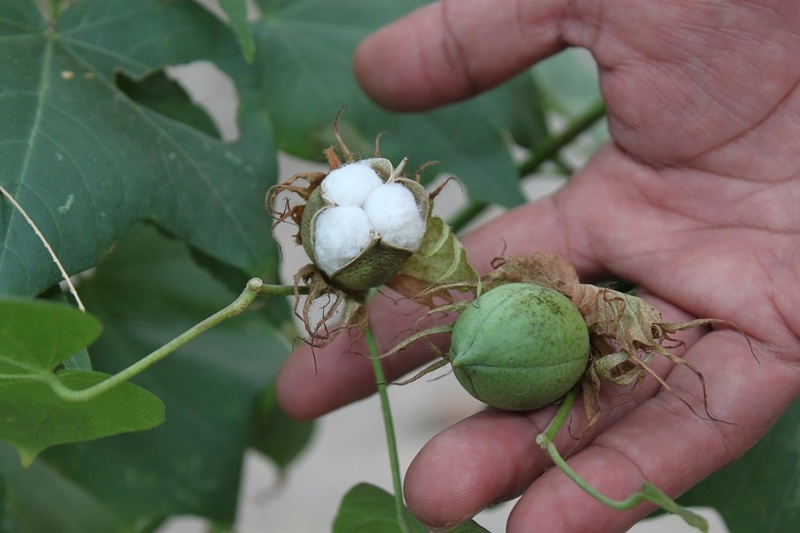 First, the harvested cotton was separated from its seeds using a simple wooden cotton gin. Then two women repeatedly and almost rhythmically smashed the seedless cotton with wooden sticks to soften it before spinning it into yarns. After that the process of making ikat motifs started. 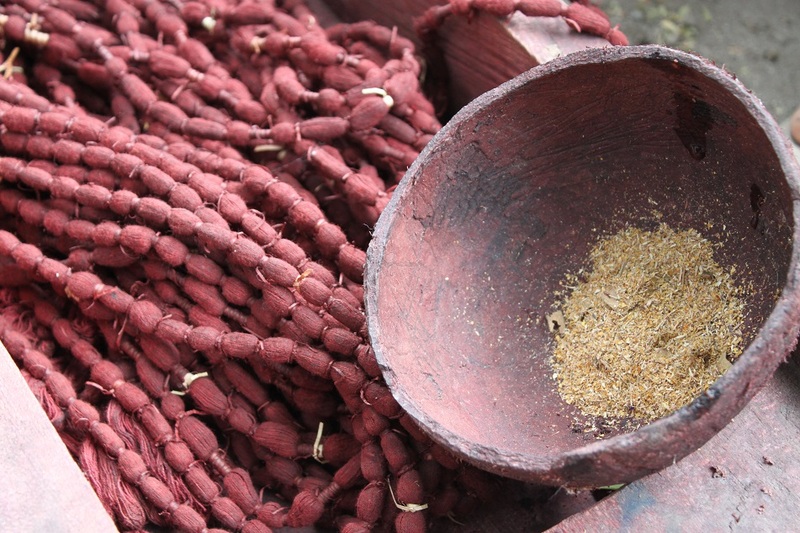 Using dried sugar palm leaves, knots were made on the threads. No sketch, every single motif was imprinted in the women’s heads. 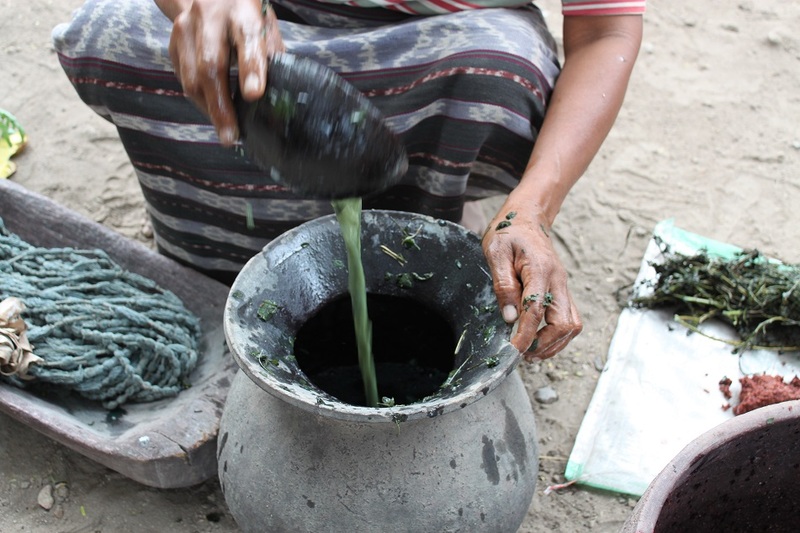 Then the tied threads were colored by natural dye made from plants and dead corals found around the village. One shade of color required days to finish as dyed threads had to be dried before the process of applying other colors to create more shades started all over again. One shade at a time. Once the dyeing process was complete, the loose threads were woven using traditional loom – a process which normally takes two weeks to complete. 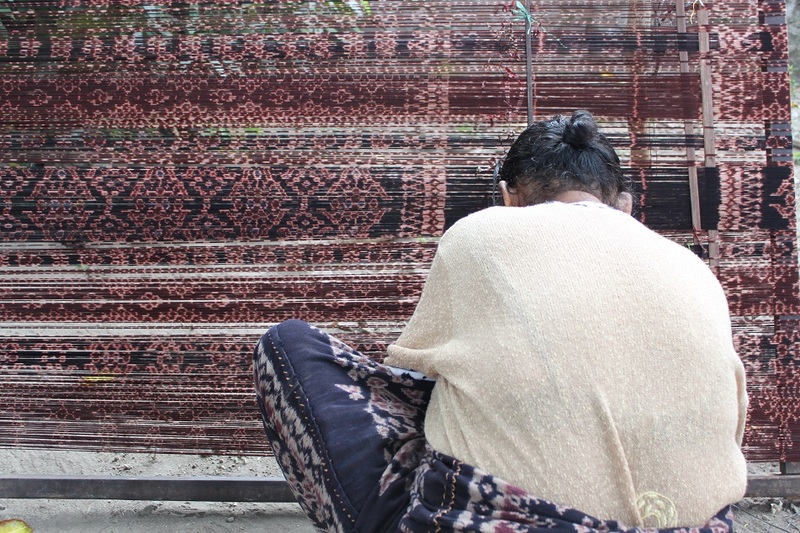 However the entire process of making an ikat sarung typically requires up to four months from scratch to a finished result, a long process demanding not only time but also dedication. Sikkanese traditional motifs incorporate images conceived from animist traditions, including spider as the symbol of protection and eight-pointed star as an auspicious symbol for fishermen. 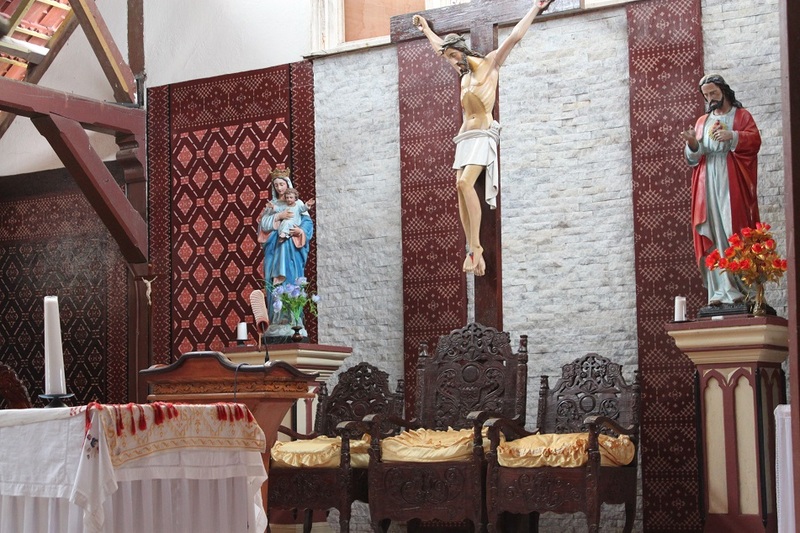 However after the arrival of the Portuguese, crosses were strewn over Sikkanese ikat as Catholicism was gradually embraced by the locals. 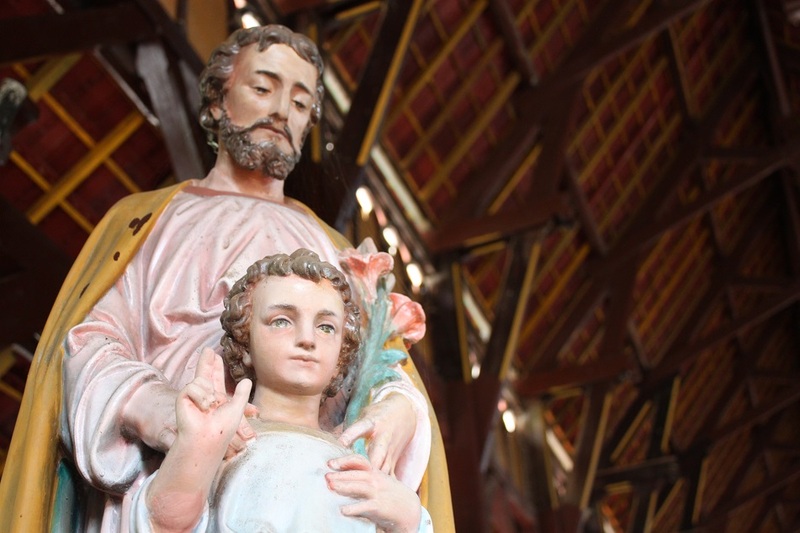 Sikka was one of the first regions in Flores where the Portuguese explorers, traders and missionaries set foot. Once called Nusa Nipa, ‘snake island’, thanks to its elongated irregular shape, Cabo das Flores, ‘Cape of Flowers’, was the name given by the Portuguese for the bright red color of blooming Royal Poinciana they saw on the eastern cape of the island. 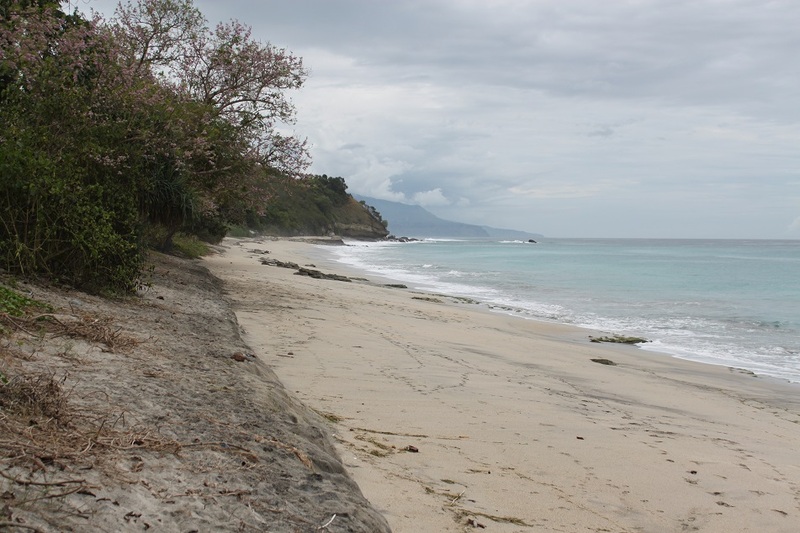 Today the eastern part of Flores still retains many aspects of its past European ruler. “In eastern Flores people still use Portuguese names, such as da Silva, da Costa, Gomes and Lopez,” Dino said. “Meanwhile in central Flores people use Christian names and in western Flores the influence of the Sultanate of Bima can still be felt,” he added while referring to the once powerful Islamic kingdom based in the neighboring island of Sumbawa. 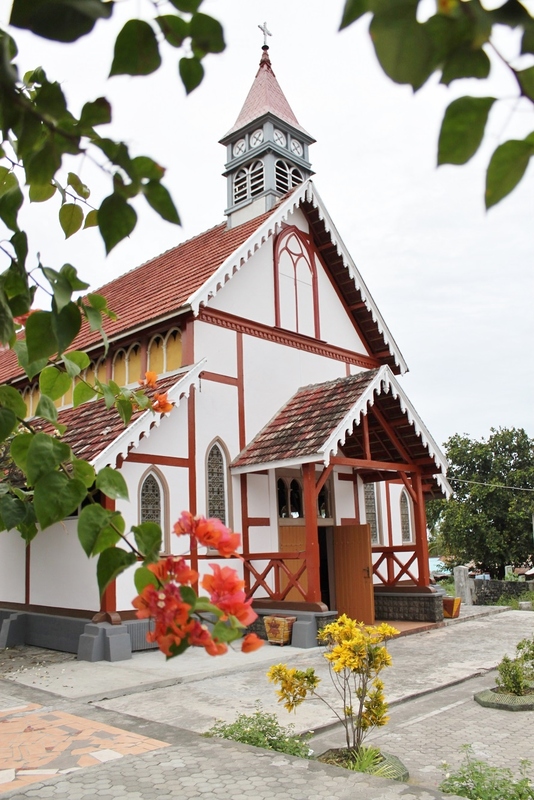 Portuguese influence on the local people’s belief in Sikka Natar was truly apparent on the village’s beautiful late 19th century wooden church. 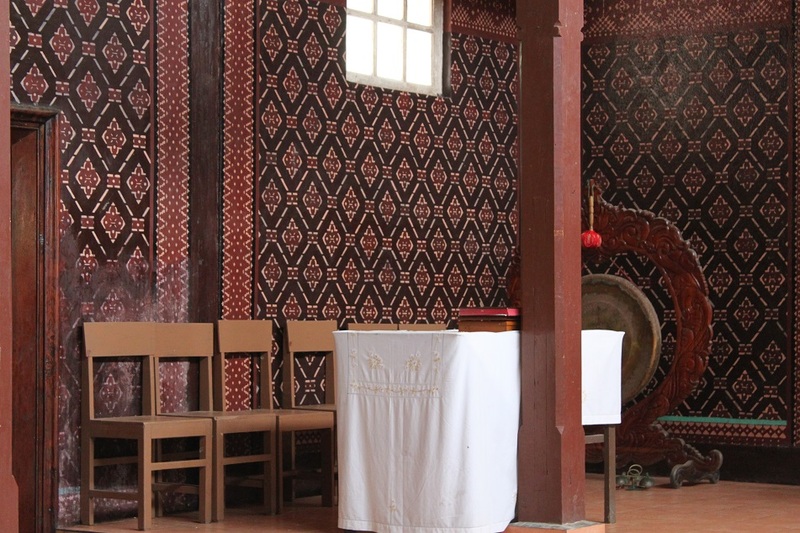 Its bright facade and red roofs hid the marriage between European and Sikkanese decorative elements: stained glass at both ends and painted ikat motifs on the walls bracketed by open windows, through which the sound of waves filled the solemn wooden structure. 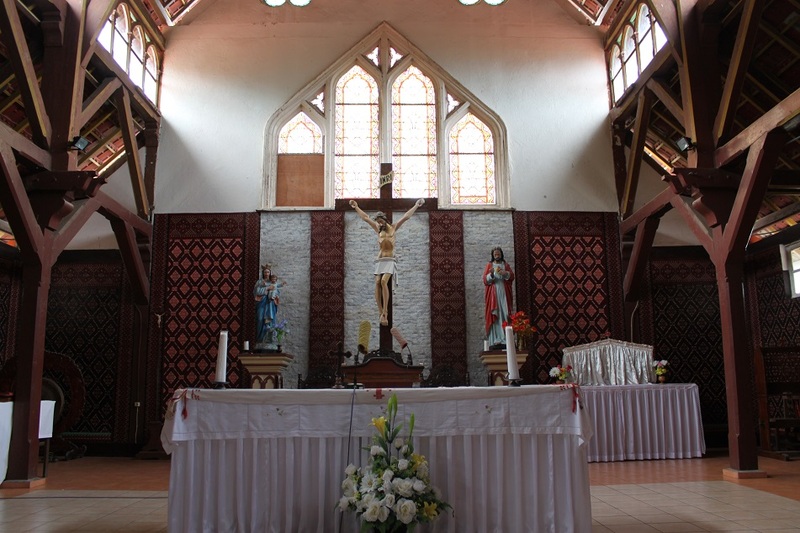 The church stood still as a testament to not only the influence of a once powerful kingdom in eastern Flores, but also the fervency of a European nation sailing more than 14,000 km away to reach this remote corner of the world in search for the fabled spices from the east. Those tenun ikat are really gorgeous. I love wearing Indonesia tenun ikat when I travel abroad and feel very proud if I get compliment from foreigners. Hopefully I will soon explore Flores, I’m sure this island has a lot to offer. Yes, it truly is! I even bought an ikat tablecloth from the ladies, the first time ever I did so on my travels. It’s nice to know that you really enjoy wearing tenun ikat every time you travel abroad, Debbie. Not only you see new places, but you also introduce Indonesian cultures to others, because traveling is all about cultural experience, isn’t it? 🙂 I surely hope sooner than later you’ll set foot on the island again! Thanks for your kind words. With your eloquent narrative and beautiful photos I feel as though I have walked with you. Wow, what a very kind and encouraging comment, Sue! The thing about travel blogging is we truly inspire one another through our stories and photos, and I’m glad you enjoyed this post. Hey! I love your blog! I was wondering how you arrange the post previews in columns on your home page rather than just being on the top and bottom of one another! Is it just a matter of what theme you are using? Ok thanks so much! And keep up the good work on the blog! I love reading about your travels! Thank you for sharing that. What a wonderful experience it must have been to see it for real. And thank you for reading, Leslie. Flores is one of those places where I set my expectations low prior to the trip and ended up leaving the island very much satisfied with so many memorable experiences to reminisce. Watching how tenun ikat was made is one of those experiences. A gorgeous, wonderfully descriptive post, Bama! 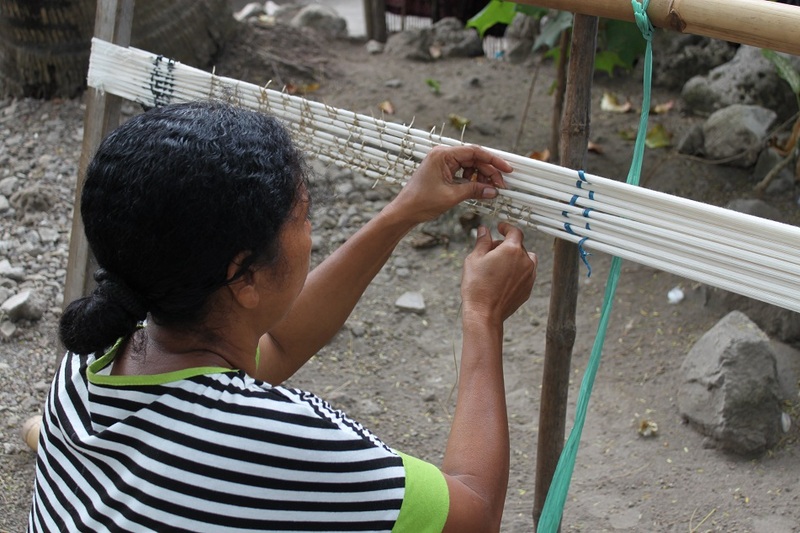 Sikka for me was one of the highlights of Flores – seeing the ikat-making process was a real eye-opener and I adored that lovely wooden church. The sound of the waves and the ikat patterns inside (not to mention the impressive structure itself) just blew me away. Makasih banyak, James! 🙂 Buying an ikat tablecloth was the least that I could do as a token of appreciation to those local women. It’s astonishing to imagine how many many generations ago people started making ikat by using whatever they could find. 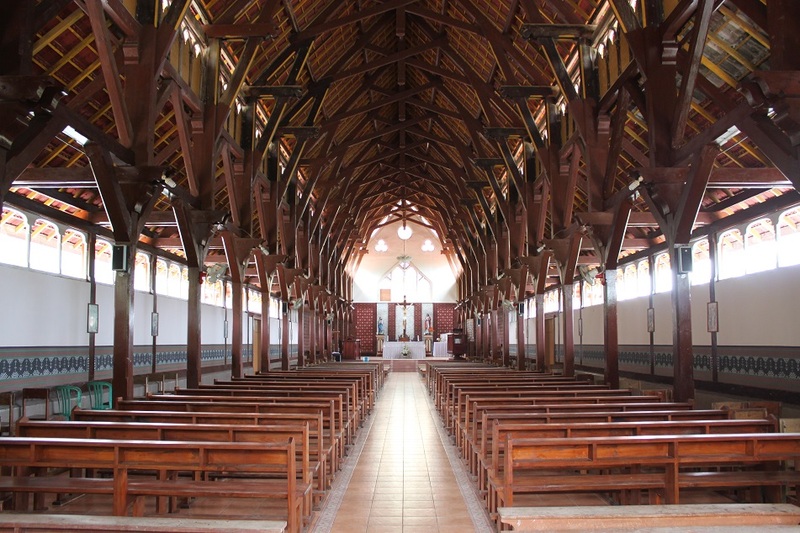 As for the wooden church, I was very impressed with how well they incorporated ikat patterns into typical church architectural design. What a fascinating place Sikka was! Your blog is amazing! Like from Italy! Grazie Noah! With so much history, Italy is definitely one of the countries I want to visit the most when I go back to Europe one day. Wonderful Narrative & It was a gr8 virtual tour of such a lovely heritage.Loved the Church patterns. Thank you, Ruchi. Tenun ikat and the wooden church were definitely the highlights of my visit to Sikka. Such a fascinating place, indeed. Good wishes to you too. Good Wishes & it’s indeed an adventure to be a traveller. You only missed a few. 🙂 Enjoy your weekend! Thanks will catch my pending backlog! You may like to see this post, snapshots from Temples around India & Nepal. Mengenai makam di depan rumah sepertinya sudah menjadi tradisi di pulau-pulau NTT yang masih menganut kepercayaan animisme, gambaran serupa bisa ditemukan juga di Sumba. Matur nuwun lho Halim. Yang paling saya suka dari gerejanya adalah motif ikat yang ada di sekeliling dinding gereja. Indah dan memberikan akses unik ke bangunan yang aslinya memang sudah indah itu. Sepertinya memang begitu ya, saya beberapa hari yang lalu membaca tradisi yang sama juga dilakukan masyarakat Timor-Leste. Jadi sepertinya ini memang budaya umum di pulau-pulau di NTT dan sekitarnya. Terima kasih banyak! The next time you go to Flores, make sure to visit Sikka Natar. I know you would love it! 🙂 Maybe the one that you bought was indeed from Sikka, brought by people to other parts of the island. love reading your blog, makes me feel i am still in Indonesia, beautiful country. for my next visit , i will be asking you for tips! A fabulous site! Will recommend it on FB! Beautiful photos as usual! The local customs regarding treatments towards dead people is interesting… Is it in any way similar to the custom in the village of Tenganan in Bali? Thank you, Dian. I haven’t been to Tenganan, but what I understand is they’re quite different. 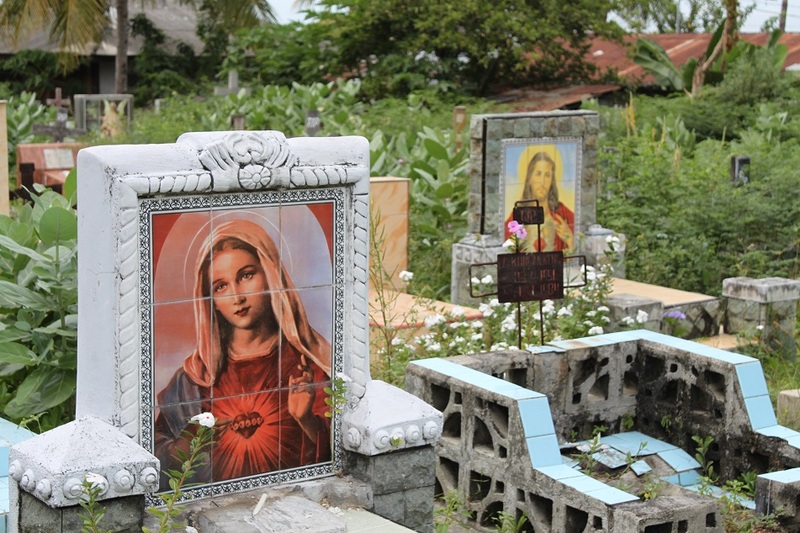 Basically in Flores you won’t see a lot of public cemetery as people prefer to bury their deceased family members in the front yard of their houses. Hi Bama, I really found this post interesting particulalry becaue I don’t know much about Flores and much more Sikka. It’s fascinating that Sikka was ruled by a kingdom until recent time. I enjoyed your description and photos of ikat making. I’ve seen that pattern but didn’t what it was called. I like seeing traditional craft making techniques still in use today. Mostly, it’s interesting to see the people of Florer adapting the culture brought to them by the Portuguese while still holding on to their own. Thanks for the educational post. Hi Marisol. Today some royal families across Indonesia still retain control of cultural matters in the communities where they are revered. But in Sikka all I could see was the vestiges of the past kingdom that once ruled a portion of Flores. Watching the making of ikat was very interesting as it’s one of those experiences which made me appreciate work of art better. If I left without buying one of those beautiful ikat cloths, I would have regretted it my whole life. 🙂 Thanks for reading, Marisol. I like this in-depth story about tenun ikat. I wish this article can encourage tourist (readers) to Flores which is known One of the poorest part in Eastern Indonesia. Thank you. But the thing about encouraging tourists to visit such a place is it’s a double-edged sword. On one hand it can help the locals with more income, but on the other hand it would be appalling to see Sikka turned into another Sade where tourists come in buses and most of them only care about shopping, and put little interest on the culture itself. I love these shots and the scene surrounding…especially the women ginning the cotton and making the yarns that will become these beautiful pieces. Well done. Thanks a lot, Randall. Ikat making was such an interesting thing to watch, let alone capturing images of it. Well done, Bama.. Very nice to read. Seems you had much time exploring Sikka, since we only had 24 hours here. 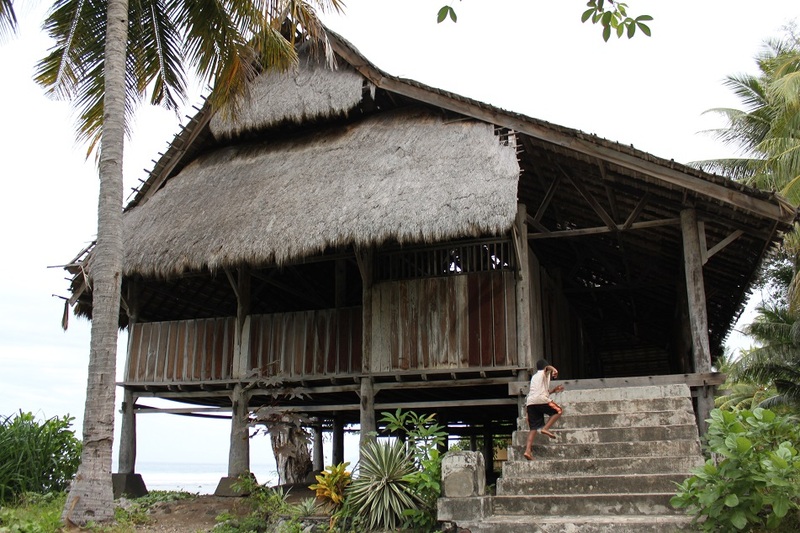 Anyway, entire east nusa tenggara have awesome Tenun..
What a beautiful little church! I love its Ikat clad walls. 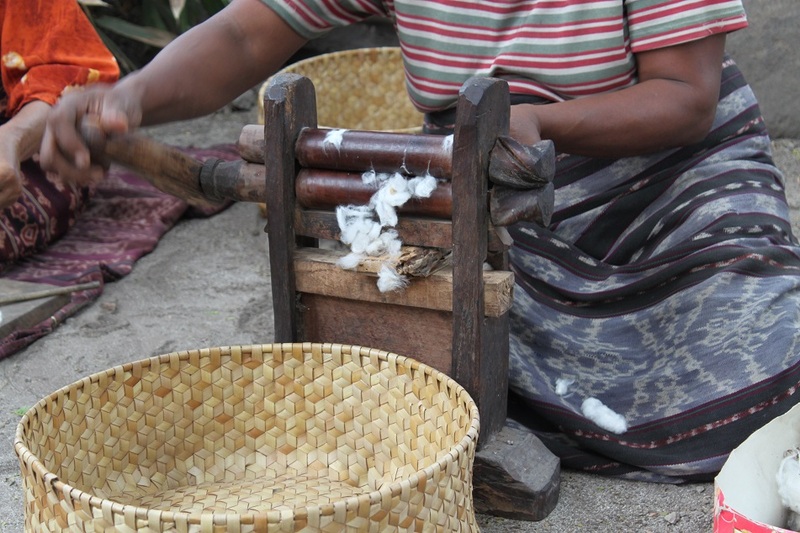 It is wonderful that so much of the traditional craft is preserved in the villages. Thanks for another lovely post Bama. Indeed. Despite its relative isolation the church was still very well-maintained, thanks to local people’s love for the church. How they preserve the traditional ikat making process was also very commendable. Thank you, Madhu. To be honest that was also the first time for me to see how harvested cotton was processed into threads. Such an interesting process to watch. Thank you, Natalie… and have a great day too!